Carl Wieman is Professor of Physics and Education at Stanford University (2013-present). Other institutional affiliations include University of Michigan, University of Colorado, and National Institute of Standards. His research interests include laser spectroscopy of atoms. In 2001, Wieman, Eric Cornell and Wolfgang Ketterle won the Nobel Prize in Physics. March 26, 1951Birth, Corvallis (Or.). 1973Obtained BS, Massachusetts Institute of Technology (MIT), Cambridge (Mass.). 1977Obtained PhD in Physics, Stanford University, Stanford (Calif.). 1977 – 1984Assistant Research Scientist in Physics (1977-1979) and Assistant Professor of Physics (1979-1984), University of Michigan, Ann Arbor (Mich.). 1984 – 2013Associate Professor of Physics (1984-1987); Fellow, Joint Institute for Laboratory and Astrophysics (JILA) (1985-2013); Professor of Physics (1987-1997); Chair, Joint Institute for Laboratory Astrophysics (JILA); and Distinguished Professor of Physics (1997-2013), University of Colorado, Boulder, Boulder (Colo.). 1985 – 2013Fellow, Joint Institute for Laboratory Astrophysics (JILA), National Institute of Standards and Technology, Boulder (Colo.). 1994Awarded Davisson-Germer Prize in Atomic or Surface Physics, American Physical Society. 1998Fellow, American Academy of Arts and Sciences. 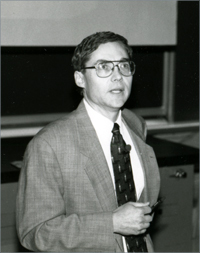 1999Awarded Arthur L. Schawlow Prize in Laser Sciences, American Physical Society. 1999 – 2002Member, Advisory Board, Kavli Institute for Theoretical Physics, University of California, Santa Barbara. 2001Won Nobel Prize in Physics with Wolfgang Ketterle and Eric Cornell "for the achievement of Bose-Einstein condensation in dilute gases of alkali atoms, and for early fundamental studies of the properties of the condensates". 2013 – presentProfessor of Physics and Education, Stanford University. Shared the 2001 Nobel Prize in Physics along with Wolfgang Ketterle "for the achievement of Bose-Einstein condensation in dilute gases of alkali atoms, and for early fundamental studies of the properties of the condensates." Both employed at Joint Institute for Laboratory Astrophysics and University of Colorado, Boulder. PhD advisor at Stanford University, "Polarization spectroscopy and the measurement of the Lamb shift in the ground state of hydrogen." Shared the 2001 Nobel Prize in Physics along with Eric Cornell "for the achievement of Bose-Einstein condensation in dilute gases of alkali atoms, and for early fundamental studies of the properties of the condensates." Research advisor at Massachusetts Institute of Technology (MIT). Both employed at the University of Colorado, Boulder. Both employed at Joint Institute for Laboratory Astrophysics and the University of Colorado, Boulder. Fellow, Joint Institute for Laboratory Astrophysics (JILA). Obtained PhD (1977). Professor of Physics and of Education. Associate Professor of Physics; Professor of Physics; and Distinguished Professor of Physics. Assistant Research Scientist in Physics and Assistant Professor of Physics. Fellow; received 1994 Davisson-Germer Prize in Atomic or Surface Physics; and received 1999 Arthur L. Schawlow Prize in Laser Science. Atomic physics 14 : Fourteenth International Conference on Atomic Physics, Boulder, CO, 1994 / editors, D.J. Wineland, C.E. Wieman, S.J. Smith. Trapping of neutral atoms / edited by N.R. Newbury and C. Wieman.